Included below are homes for sale in La Jolla Muirlands. If you would like more information on any of these Muirlands real estate listings, just click the "Request More Information" button when viewing the details of that property. We can provide you with disclosures, past sales history, dates and prices of homes recently sold nearby, and more. And, if you haven't already, be sure to register for a free account so that you can receive email alerts whenever new Muirlands houses come on the market. 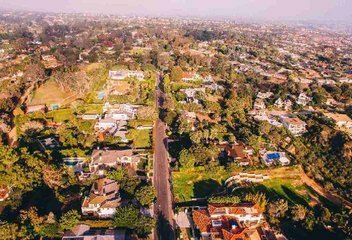 When searching for homes for sale Muirlands La Jolla you will find one of La Jolla’s oldest neighborhoods. The Muirlands is a wooded community of over one thousand homes on the western slopes of Mount Soledad named after John Muir. Located off of Muirlands Drive on more than two acres is the original Muirfield residence, a Spanish Colonial revival mansion. Murilands is defined by La Jolla Country Club to the north, La Jolla Scenic Drive South on the eastern side, and La Jolla Mesa Drive to the south. One unique aspect to the neighborhood is that there are no sidewalks. Some residences are a reasonable walk to Muirlands Middle School and La Jolla High School. Muirlands residents attend La Jolla Elementary School. The West Muirlands neighborhood is adjacent to the La Jolla Country Club. The homes are larger estates on half acre or more lots. Streets throughout Muirlands West are wide and lined with mature trees. There are ocean views within the West Muirlands as well as majestic canyon and hillside views. Residences in West Muirlands tend to be a lower price per square foot than the Muirlands.